Teracom's instructors are professionals with broad and deep knowledge of telecommunications, data communications and networking technologies and trends and many years' experience teaching seminars. Unlike some you will encounter elsewhere, Teracom instructors all have Engineering or equivalent degrees and hands-on experience working with the technologies they're teaching. All of our instructors share another common trait: the ability to cut through the jargon and buzzwords to explain the key concepts and mainstream solutions in plain English, without bogging down on jargon... knowledge you can't get by reading trade magazines or talking to vendors. Click the links or scroll down to view the background and qualifications of our instructors. Eric Coll is an international expert in telecommunications, data communications and networking and has been actively involved in the industry since 1983. He holds Bachelor of Engineering (Electrical) and Master of Engineering degrees, and is licensed as a Professional Engineer in his home jurisdiction. 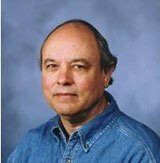 Mr. Coll was a senior course director with Data-Tech Institute and has taught technology training seminars to wide acclaim across North America since 1992. He has worked for Bell-Northern Research, MacDonald-Dettwiler (MDA) and Nortel's research labs, as a design engineer on projects including digital voice and data communications research, digital telecom network equipment design, systems engineer on satellite systems, Wide Area Network design for large organizations and many other projects in capacities ranging from detailed design and implementation to systems engineering, project leader and consultant. Students consistently rate Eric excellent on course evaluations and specifically praise his broad and deep knowledge, his use of analogies to get ideas across, and his well-developed sense of humor. Richard Olsen holds a B.S. in Electrical Engineering and has over 44 years of professional engineering and teaching experience. Richard held senior management and engineering positions at Southwestern Bell for over 20 years. He has served as an instructor for numerous major companies as well as being an Adjunct Professor and Executive-in-Residence in the Master of Science in Telecommunications Management degree program, Oklahoma State University. 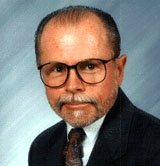 Richard is a member of the MSTM Industry Advisory Board, Oklahoma State University, the National Society of Professional Engineers, the Oklahoma Society of Professional Engineers and the IEEE. Recently, for fun, Richard took a CCNA certification class at nightschool, and passed. Richard consistently receives excellent ratings across the board on student evaluations, with many comments specifically praising his knowledge and thoroughness in making sure everyone understands the topics. Jim has worked his way from installation and troubleshooting of DSL, LAN and WAN services to Senior Training Manager, Technical/Network at AT&T University, Charlotte, NC. Jim's knowledge, graduate degrees and certifications never stop growing. He is both an expert in all things Cisco, IP, MPLS and AT&T's global network, as well as being a Certified Trainer for (among others) the AT&T Uverse Curriculum, covering Uverse Fiber Networks, Uverse Technologies, Uverse Customer Premise Equipment, Uverse Wiring Skills and Enhanced Troubleshooting. Jim's knowledge is encyclopedic; and his teaching skills are so good, last September a class took him out to dinner to thank him! Jay McGuire holds advanced degrees in engineering and has been a professional trainer since 1982. Jay brings a wealth of knowledge to the table, covering telecommunications, data communications and networking, local area networks, IP, Voice over IP and call center and customer care technologies. He uses a highly graphical approach to teaching technical concepts to non-technical audiences from a wide range of corporate, government and defense environments. Jay has held past positions as a telecommunications manager for a Fortune 100 insurance company and as a digital design engineer. He is "one of the best" in the technical training business. A graduate of Central Connecticut State College holding Bachelor's and Master's degrees, Storm started his career with Honeywell, and was key in Aetna Life and Casualty's Data Processing Education Program as instructor, developer, and manager, helping the program grow from nothing to over 50,000 student days/year. For over twenty years, Storm has been a program developer and instructor, teaching numerous telecommunications technology seminars to rave reviews from thousands of students. 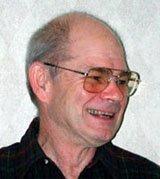 For many years, Vincent Rendenna was senior instructor in the Data Networking and Communications Technologies Curriculum at the AT&T's Bell Laboratories Technical Education Center in Middletown, NJ. He is an authority on data networking protocols and has developed over two dozen Data Communications courses. He has taught at Bell Labs and in the Computer Science Department at Essex County College in Newark, NJ for 17 years. A graduate of NJ Institute of Technology in Electrical Engineering (BSEE), Vince has over 30 years of experience in data networking, and has developed a strong and varied background in advanced network planning, design and implementation. Mr. Rendenna is currently president of Vinco Associates Inc., providing consulting services for AT&T and Lucent Technologies and telecom, datacom and networking technology training seminars for Teracom. Tim Kelly has been a consultant and seminar instructor in telecommunications technologies for over twenty years. He was a senior Course Director at Data-Tech Institute, and his encyclopedic knowledge of telecom, datacom and networking technologies combined with his ability to cut through the clutter to explain fundamental concepts and mainstream solutions lead to rave reviews amongst the thousands of students who have attended his seminars across North America.